Bruschettas are super easy and quick to make. You can use your infinite imagination and make it from almost everything you have in your fridge and cupboard. However, there weren’t many occasions I actually bumped upon really tasty and well done bruschetta. There are few things to be careful about when wanting to prepare bruschetta that taste really good. First, you have to do it last minute in order for them to be warm and crispy, not flabby and cold. I usually use all fresh ingredients: tomatoes, salad rocket, fish carpaccio, marinated fish. To begin, I toast some bread and sprinkle it with olive oil. 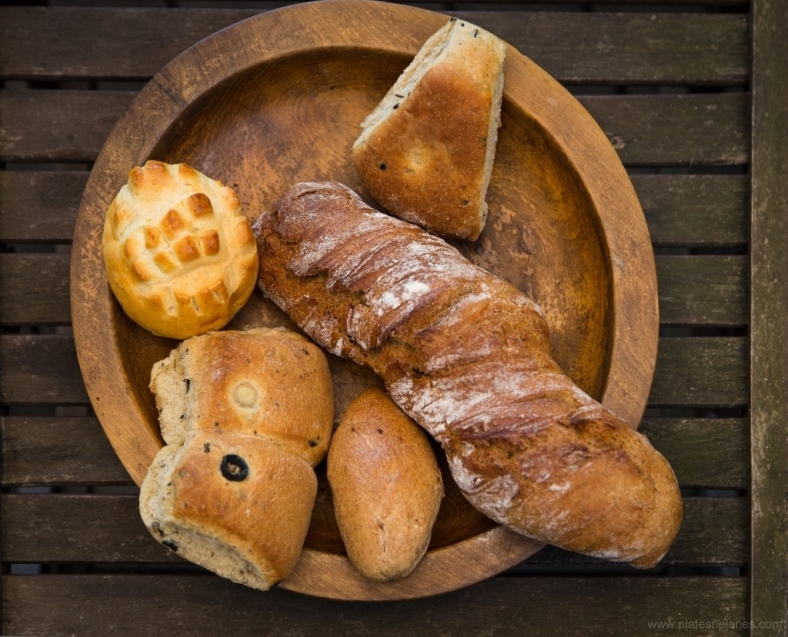 You can us any kind of bread, it is completely up to you. Personally I prefer using baguette to avoid having too much bread, but really – do as you wish. Then I add all the ingredients and a bit more olive oil – and, ta-dah! You are ready to put it into the oven. When they are done, don’t hesitate getting little creative and decorate your bruchetta with some basil leaves or anything else that pops into your mind. Have fun! 2. 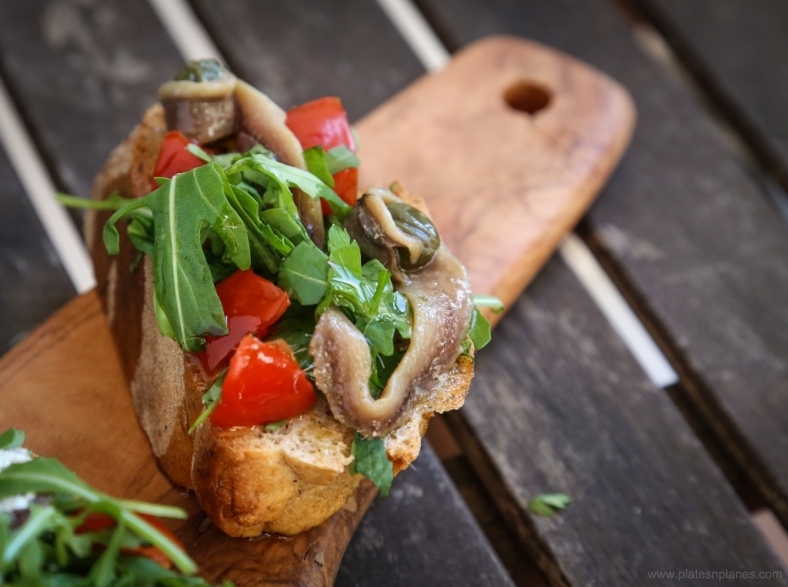 Take bread out, put it in a platter, sprinkle it with olive oil, than put on mixture of salad rocket and tomatoes and marinated sardines on the top of it. Extra tip: It goes perfectly with a glass of red wine.